You can dive into KGOU's most recent financial statement from the independent audit we undergo each and every year. We've condensed it into an infographic to illustrate just how we'll spend your $50 donation. You can see that 70 percent goes toward acquiring and producing programs, national and local, and toward all the technology it takes to get those programs into the format you use, whether on your radio or your computer or your phone. 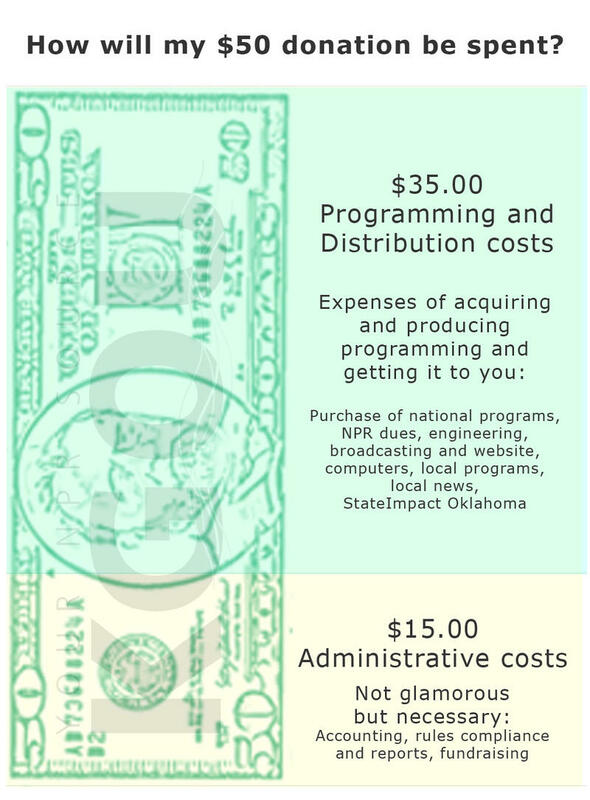 Purchase of the national programs takes $11.50 of that $50 – programs that you listen to all the time, like Morning Edition, All Things Considered, This American Life, Jazz Night in America, and the rest. Part of the remaining $23.50 funds our local reporting efforts on state government, environmental issues and happenings in the business and energy sectors. Part of it goes toward our own music programs, and our Community Events listings online and on the air. Part of it goes to transmitter upkeep and tower rental, and computers to keep everything running smoothly. On the administrative side, the remaining 30 percent goes to the boring-but-necessary stuff: accounting for every penny that comes in and goes out; the hours spent making sure we comply with all the rules and regulations, and documenting how we keep donor information safe and confidential; and yes, fundraising, printing and mailing. NPR posed a similar question to other local stations. Being non-profit means that we do everything with economy in mind. KGOU doesn't have any budget line items for limousines or massaging chairs, and we pay out of our own pockets for beer and pizza, just like you. 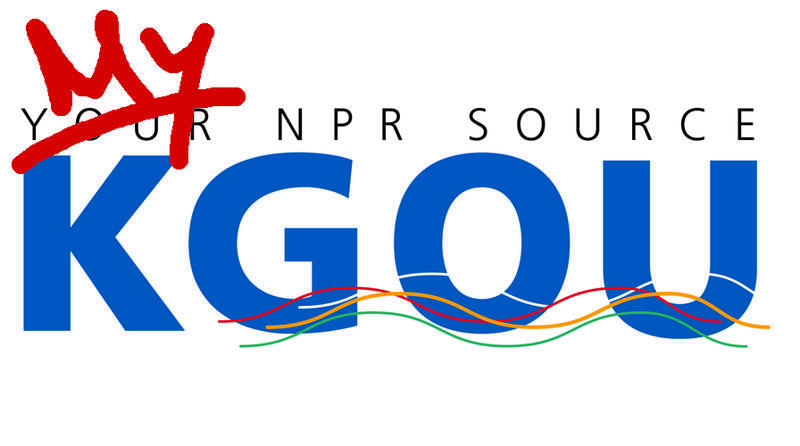 If KGOU is part of your daily routine – if you like news and music from around town and around the world; if our content helps satisfy your need for in-depth examination of current topics in the news or for exploring music, science, food, medicine or the human condition; and if you keep coming back for more – then you are already invested. Maybe it's time to give. Help us put a voice to the tens of thousands of listeners who tune in to KGOU each week. Share an audio "snapshot" the next time you're listening to KGOU, and get our new, limited edition T-shirt.